How to develop good reading skills for excellent performance in examination is what you ought to know if you are preparing for exams. 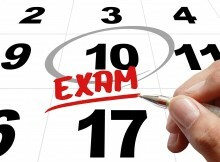 Examination is meant to assess all the knowledge you have gained at the of your training period. It is your desire to succeed in any exams you sit for. However, you may have experience failures in examination over the years. Due to this, you now feel discouraged and have even lost confident in yourself – and believe you would never succeed. You aren’t alone – I have felt this way before (more than often). Failure in any examination is generally a cumulative effect of several factors that causes failure in exams. Prominent among these factors is the inability to read and comprehend. As a student, you need to learn how to improve your reading skills. Ever heard the saying: “readers are leaders?”. Yes, you don’t only want to read, you also want to comprehend what you read. Isn’t it? Research have shown that A lot of students do not comprehend what the study not because they cannot, but because they have not learnt the principles of reading for comprehension. This ignorance is what has led many into the captivity of failure. So read on to know how to develop reading skills. What’s the Possibility of Comprehending What You Read? Comprehending what you read initially may seem difficult, but if you follow the principles of comprehending, you would discover that it is possible. The secret behind great leaders is that they are given to effective reading of good materials. Not only are they given to reading those good materials, they also comprehend the message and apply them at the right time. Reading and comprehending what you read would make you masters of your subjects. It gives you confidence to approach examination and excel. It will also promote you, bring you into favour and help you to excel in leadership positions. You can get to unimaginable heights through reading of good materials. However reading bad materials will lead you to the depth of corruption and backwardness in life. Comprehending and remembering what you read besides being beneficial, is quite possible. This is because God had blessed you with a good memory. This good memory has turned ordinary men to extraordinary people. George Washington was reportedly able to call every soldier under his command by name. Winston Churchill was said to recall so much of Shakespeare’s work from memory that when he went to see a play he would often recite the lines from the audience and distract the actors. Bill Gates, the founder of Microsoft, has been known to amaze his colleagues by remembering hundreds of lines of source code from the original basic programming language he developed. John Milton a blind poet, composed “Paradise Lost” in his mind 40 lines at a time and then recited them to a scribe. Now, you could be the next success story. Improving your reading skills can help you to overcome exam fear? Yes, that’s right! In order to improve reading skills, or reading to comprehend, it must be done at the right time and place by using the right techniques. The two major study techniques highlighted below have been very helpful if properly applied: the first is SQ3R approach – meaning Survey, Question, Read, Recite and Review. Survey assists to get the main ideas before commencing study. It involves looking at the title, subheadings and any summaries or abstracts. Recall what you have read after closing the note and then make your own note. Thereafter. Review what you have read by checking the accuracy of your note with the original note. This will inevitably yield great result. Recap by summarizing each main idea with good sentences during study. Let me know in the comment if you have any ideas about other ways to improve reading skills for excellent performance in examination. Any comments is greatly appreciated.